9 in 10 Halloween shoppers are expected to buy candy this year. 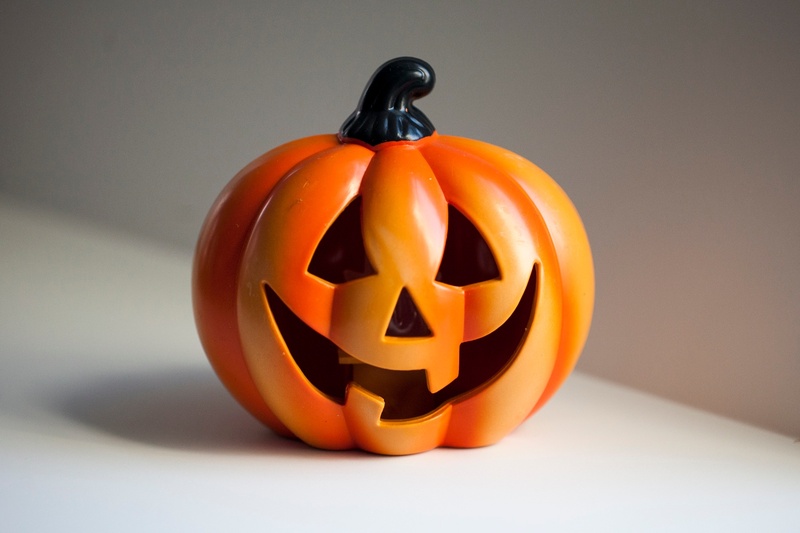 According a the National Retail Federation poll, more than 157 million Americans plan to celebrate Halloween this month. The average person celebrating will spend $74.34, down from $77.52 last year. Halloween total spending is expected to reach $6.9 billion. Customers are ready to take advantage of sales on candy, costumes, and decorations. Shoppers are expected to spend $27.33 on costumes for the whole family, and a total of $2.5 billion on store-bought, homemade, large and small costumes. Most is spent on adult costumes ($1.2 billion) with $950 million spent on children's costumes and $350 million on pet costumes. An estimated 68 million Americans will dress up this Halloween along with 20 million pets. With 9 in 10 Halloween shoppers buying candy, the grand total is expected to be around $2.1 billion, with an additional 33.5% buying greeting cards totaling $330 million. 2 out of 5 people celebrating Halloween plan to decorate their home or yard, with the average person spending $20.34 on decorations, totaling $1.9 billion. So how will Americans celebrate? 67.8% will hand out candy and 43.5% will dress up in a costume. 41% of people plan on carving pumpkins. 31.5% plan to throw or attend a Halloween party with friends and family. More people planned on shopping before October this year than last year. With the second majority planning on shopping within the first couple weeks of October. Where do they find their inspiration for costume? 31.4% find it online (13.3% on Pinterest!) and 26.8% find it in store. According to a study by BevMo!, 84% of adults said they plan on buying alcohol to celebrate Halloween. 50% said they will opt for a liquor-based beverage, 24% will reach for a beer, and 23% want a glass of wine. 86% of people attending holiday parties say they will bring alcohol, only 11% said they will bring candy, 3% will bring nothing. It definitely helps alcohol sales that the holiday falls on a Saturday this year. What treats do they want with their alcohol? 59% said anything chocolatey, 11% said candy corn, slightly behind people actually saying "I don't like candy." 37% of adults plan on attending or hosting an adult party. 1 out of 5 respondents will stay home and hand out candy, and 13% will take their kids trick-or-treating. Only 2% plan to visit a haunted house. Convenience stores can dip their toes into these numbers in several ways. Display and Promote Candy - This can be through placement in your store, in-store advertising, pump advertising, or loyalty member communications. Promote Alcohol Sales - If your store sells alcohol, make sure you find a way to put in your customers' minds that it's a great idea to purchase it to celebrate. Set Up a Halloween Promotion - Send out a promotion related to Halloween to all of your loyalty rewards members. If you don't want to offer discounts, just simply tell them what you have in-store related to the holiday.